One of the best and worst aspects of digital marketing is its constant evolution and the addition of new tools to drive sales. Artificial intelligence is becoming a much stronger touchpoint in the landscape of digital marketing, and businesses that are able to leverage these new technologies for their business will likely be the ones that drive the most success for themselves. One of the newest tools in this realm is the chatbot. These are simple, yet effective for increasing sales and creating a positive customer journey from start to finish. Although the use of chatbots is fairly new, many businesses have already seen success by using it as one tool in their arsenal – here is how. The most important factor in chatbot success? Personalization. That is what reigns supreme and that is what dominates the user experience. 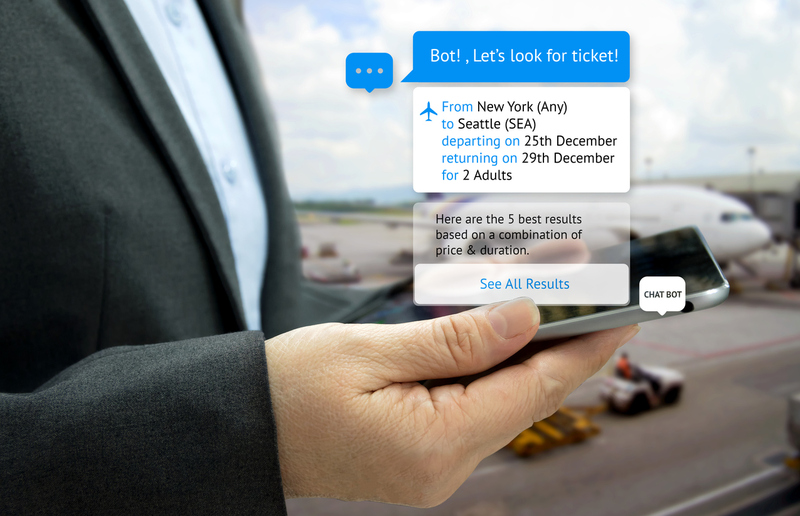 The best way to use chatbots is to map out exactly how the customer journey will be and how a chatbot can be integrated within that experience to provide personal attention to each customer. Your chatbot is designed not to be static, but to evolve with your business. As your business changes, your chatbot can be a steady hand throughout to ensure that your customers are still on the receiving end of a personalized experience. Customers feel like they are able to access the right information for their needs, rather than having to hunt and sort through irrelevant information. Chatbots are able to bridge that gap and give them laser-focused attention right from the start to capture their interest. Another great functionality for a chatbot is that it can be helpful throughout the sales process – not just for capturing inbound leads. No matter what part of the sales funnel a lead is in, the presence of a chatbot can really help the drive the experience and show your customer that your company is attuned to what its clients need. Chatbots can provide key customer support functionalities, as well as provide information on demos, trials, offers, and other key news. Using chatbots in integral parts of the sales function will provide an extra layer of support while also ensuring that customers are always able to receive the information they need in a timely manner. For example, Amtrak used their chatbot, Julie, to operate as their best customer service representative and that yielded fantastic results for them and really demonstrates the value of investing in a chatbot. Besides the fact that she was able to handle over five million queries in the year, she also saved Amtrak over a million dollars in customer service costs and increased their revenue per booking. Ultimately, sales velocity and many other business functions are centered around convenience. Customers enjoy an easy, simple experience that does not require them to go out of their way, or feel inconvenienced in any way – this is a major factor for sales velocity. Think about the other two factors of personalization and customer support, and how chatbots can be used to make those processes simpler, faster and convenient. Using a chatbot without totally understanding its capabilities will not do much for your business, so there must be a targeted focus in place of what it is you are trying to accomplish with it. Chatbots provide a level of convenience and service at a much faster speed than ever before, but only if the right information and tools are in place. Work with your team to understand what customer pain points are, where the improvements are needed and how chatbots could potentially fill these gaps.